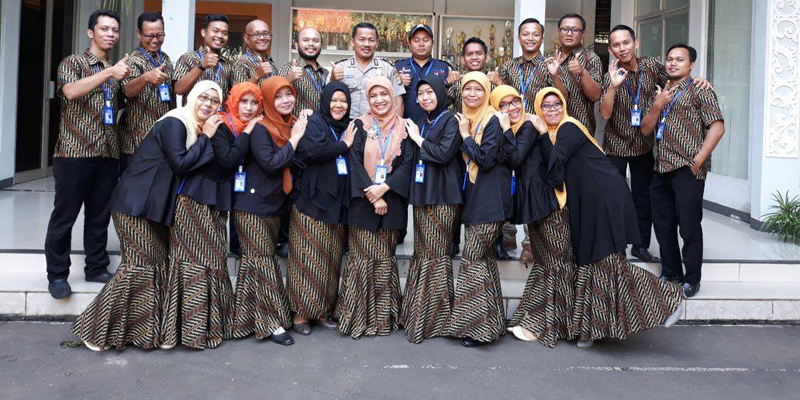 MonsoonSIM welcomes Ghama DLeader High School, a high school from Depok town, Indonesia to adopt and implement MonsoonSIM into its curriculum and allow its students from all majors to participate in this unique business course program. Ghama DLeader High School Principal, Mr. H. Acep Al Azhari has indeed recognized Experiential Learning in MonsoonSIM not found anywhere else and without any hesitation, jumped on the bandwagon to be amongst the forerunner of high schools to adopt MonsoonSIM into their curriculum. In working with Ghama DLeader High School, Mr. Siharta of MonsoonSIM Indonesia pointed out that MonsoonSIM for teachers, it is Easier to Teach, and More to Teach. And for students, it is Easier to Learn, and More to Learn. This approach, which is our mission, is shaping the future of students and undoubtedly corresponding well with educational bodies who take keen interest on their students' learning. In addition, MonsoonSIM program encourages the spirit of entrepreneurship of their students and this cohesive learning process can be inhibited from a young age. MonsoonSIM is an award-winning pedagogical platform that consists of hundreds of business concepts embedded in a powerful, immersive experiential learning system. It is poignant to emphasize that MonsoonSIM has changed the way we learn business today. Fundamental understanding in Enterprise Business Process through Experiential Learning on MonsoonSIM platform will allow these high school students to get a head-start in their tertiary business studies or careers. MonsoonSIM is here not only to transform global tertiary business education but it can also begin from high schools.